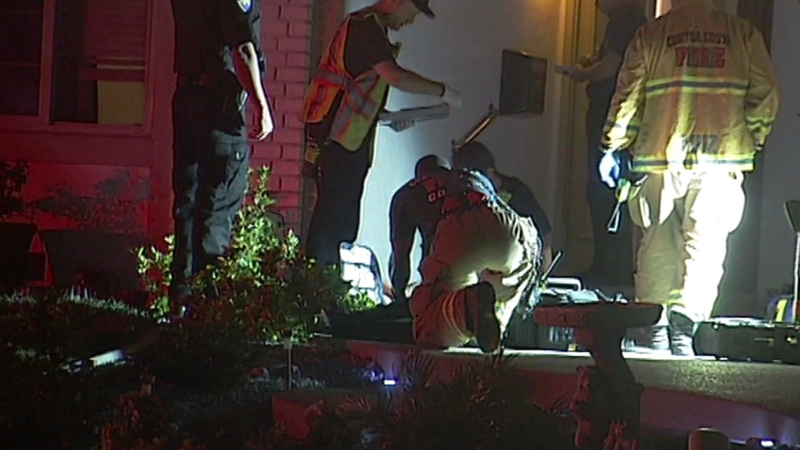 PITTSBURG, Calif. -- Pittsburg police this morning identified a 20-year-old man who was injured when an officer shot him and two of his family members after responding to a domestic disturbance call Tuesday night. The man, who was hospitalized along with the family members, was identified as Rigoberto Gutierrez. He was the suspect in the domestic disturbance call that officers responded to shortly after 9 p.m. Tuesday, Pittsburg police Capt. Ron Raman said. A woman initially called police saying that her son, Gutierrez, was acting irrationally and likely was under the influence of drugs at a home in the 1500 block of Kingsley Drive, Raman said. Gutierrez was on the porch of the family's home and demanding to come in, and family members said they could see through a security screen door that he was armed with a gun and pointed it at his father several times, Raman said. Responding officers gave Gutierrez verbal commands, but he allegedly refused to comply. Gutierrez then allegedly reached for a firearm in his waistband and an officer shot at him, striking him in the leg, Raman said. At least two rounds went through the security screen door, striking the suspect's father in his stomach area and Gutierrez's 17-year-old brother in the leg, Raman said. All three were taken to a hospital. The father was treated and released and the teen is in stable condition, Raman said. Raman said Gutierrez will be booked into the Martinez Detention Facility on suspicion of assault with a deadly weapon and other weapon-related offenses once he is medically cleared. Gutierrez has prior arrests for drug possession, resisting an officer and petty theft, Raman said. The name of the officer, who Raman said has 20 years of law enforcement experience, has not yet been released. The shooting is being investigated jointly by Pittsburg police and the Contra Costa County District Attorney's Office.